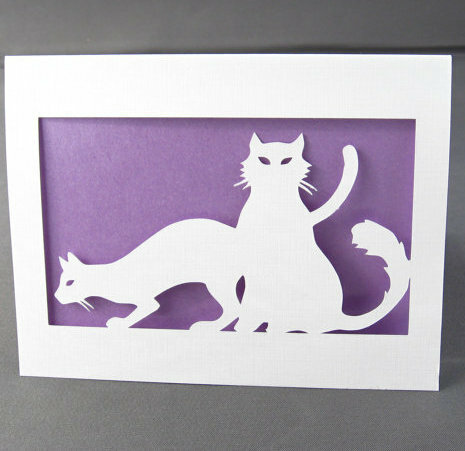 This is a cut paper greeting card, with a beautiful silhouette of two cats. 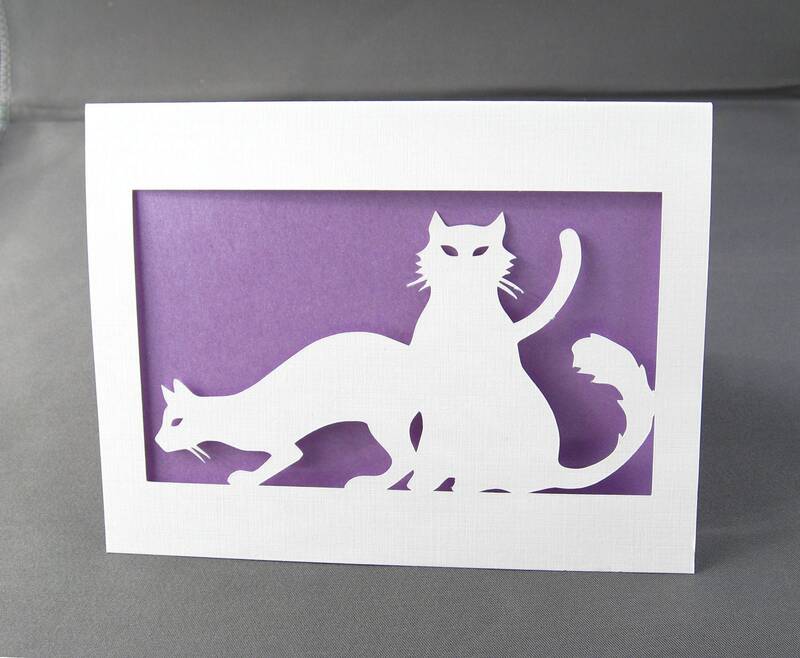 Great gift for cat lovers! 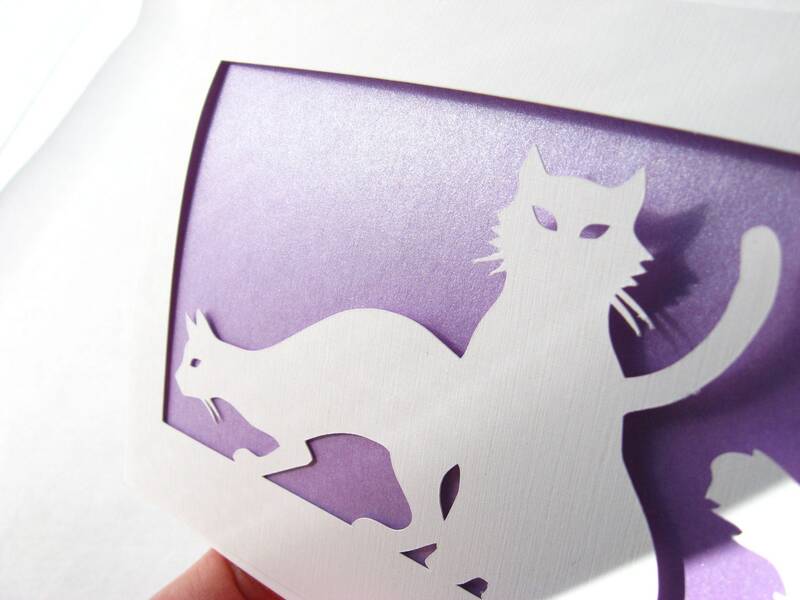 This card is one of my original designs, cut into acid free card stock, with a layer of paper inside. 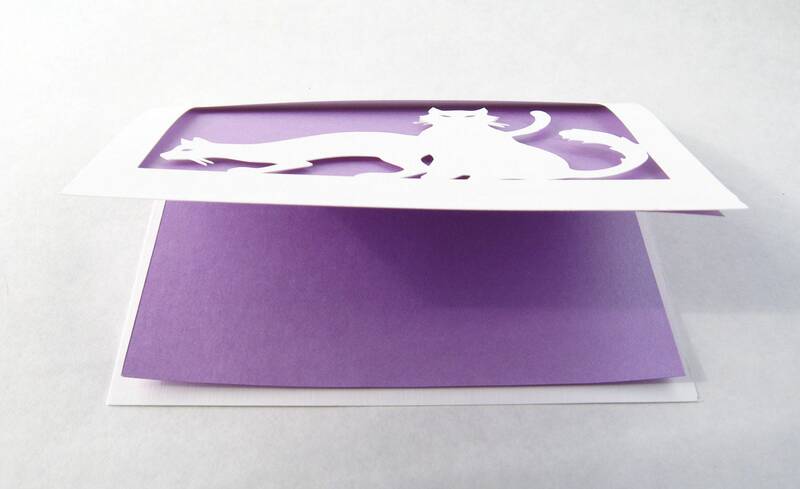 This white linen card stock card features a layer of metallic purple / lavender paper inside. This is a single card only. This card is signed by the artist on the back. Perfect for any occasion, it is blank inside. It measures 5 ½” x 4 ¼”, and comes with an envelope.